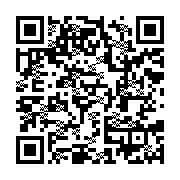 Now availible for your Smart Phone or Tablet. 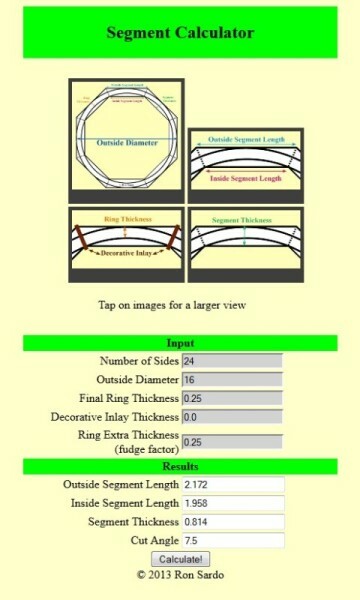 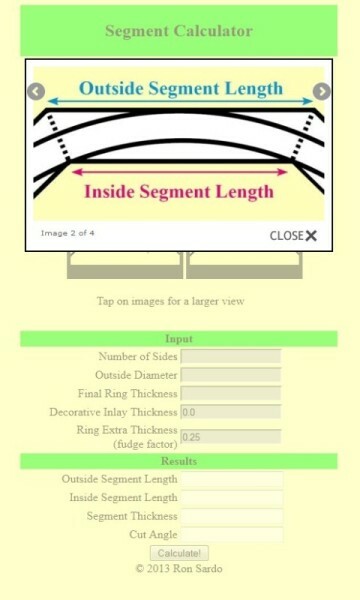 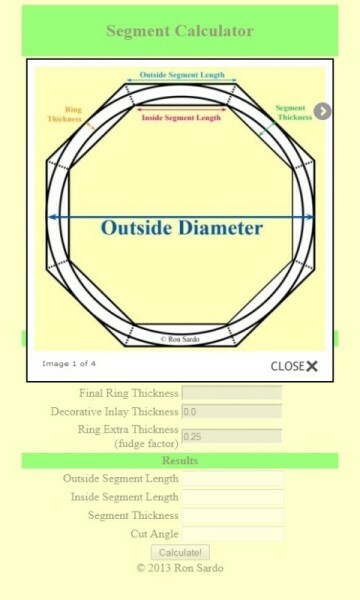 Our Segment Calculator can be used to find the size and angle of each segment in a ring. 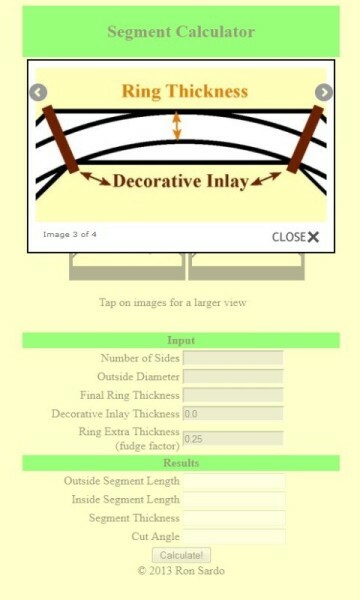 Also inculded is a feature to add a decortive inlay into your woodturning project. 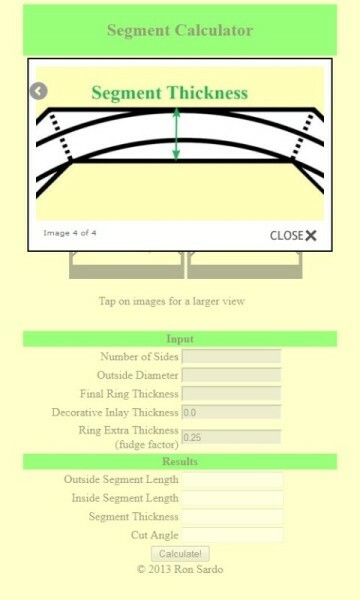 This calculator can be uesd to build plan sides for a 6 sided picnic bench, an arch way or anything that has 3 or more sides.